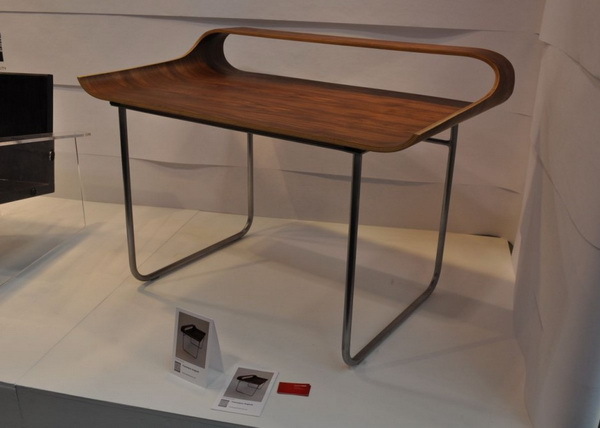 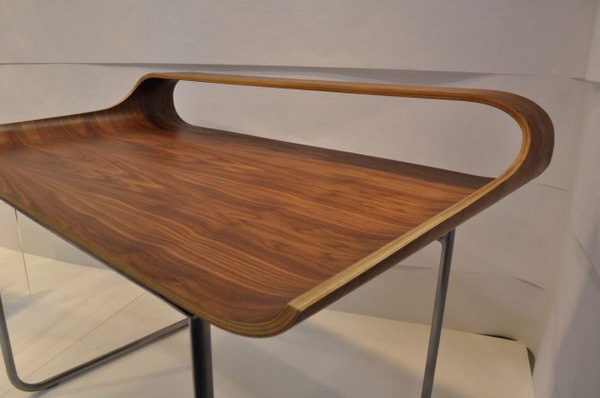 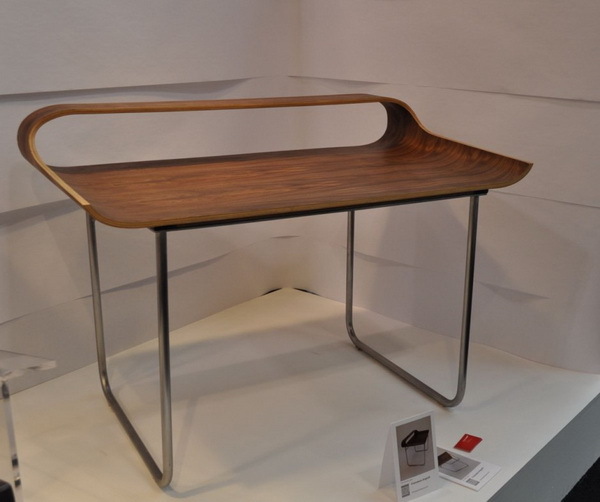 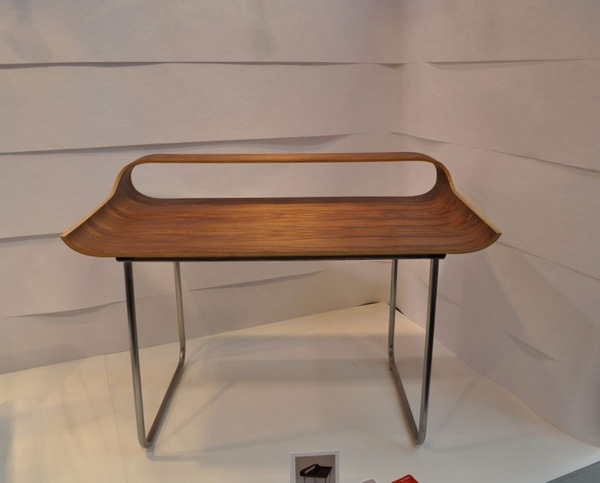 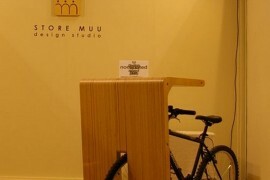 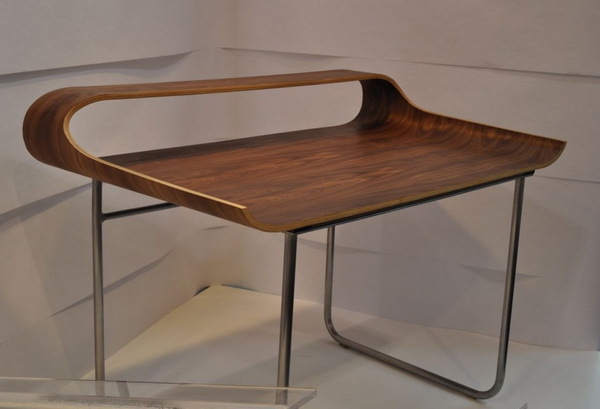 This beautiful desk was designed by Francesco Angiulli, an industrial design student at the Ontario College of Art & Design, and presented at the 2011 Interior Design Show in Toronto. 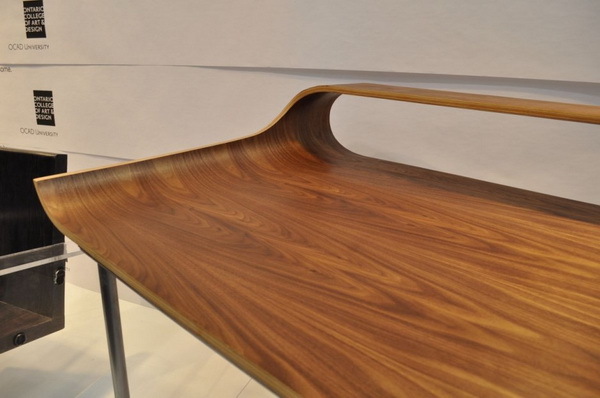 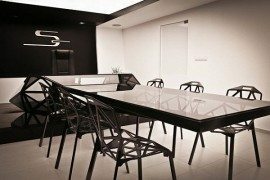 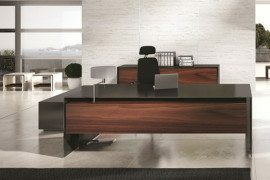 Called the Continue Desk, it features the very simple and industrial combination of a beautiful tabletop of rich, warm wood, fluidly curved, and foldable U-shaped metal legs. 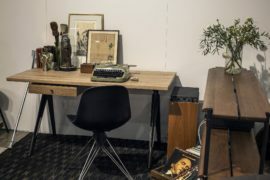 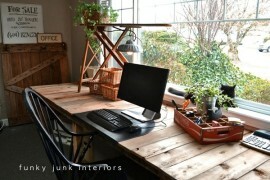 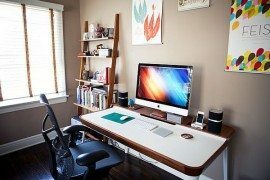 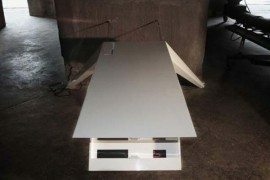 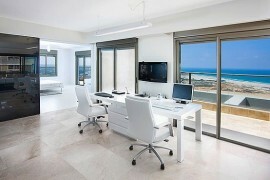 Very minimalist and masculine, it is surely not the most practical and multifunctional of desks, but it is slender, light and beautiful and probably the suitable desk for a globetrotter writer going on safari, and he does not need that big a Jeep to carry it.